You can find additional information about the actual charts and their functions in the Chart Overview section. 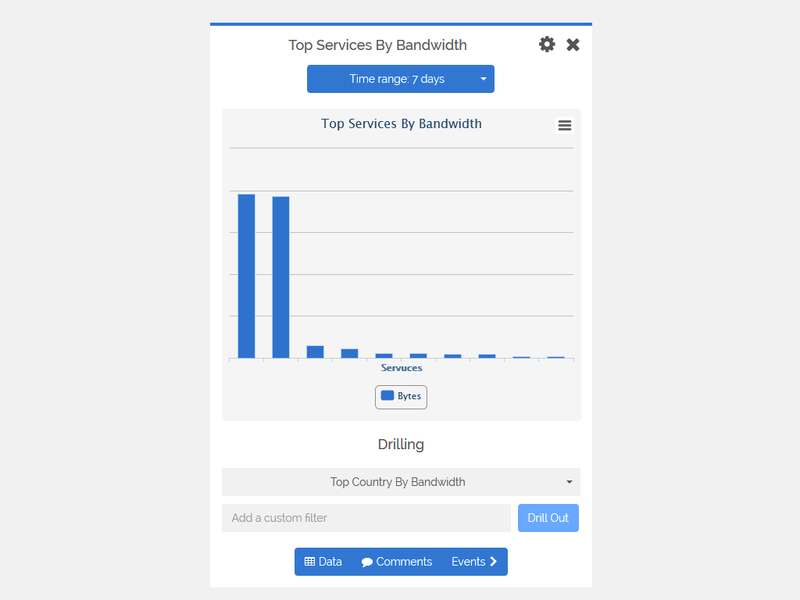 It is offered in a line chart and provides information with respect to the data sent, received and their sum as the actually bandwidth in use (in MB) as recorded from the specific network device. 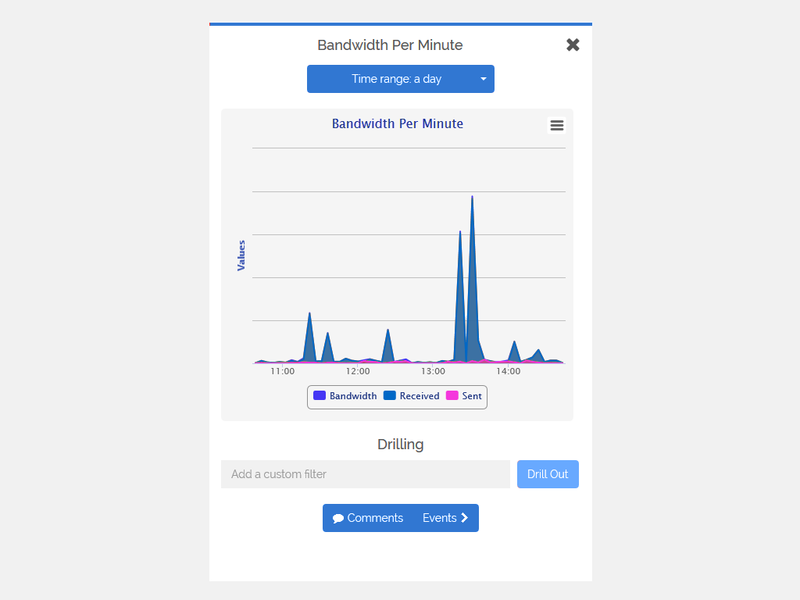 The chart also provides the user the ability to select and zoom into a specific time interval within the set window in order to acquire a more detailed view on the bandwidth in use. It is offered in a line chart and provides information with respect to sessions, CPU and memory utilization percentage. The chart also provides the user the ability to select and zoom into a specific time interval within the set window in order to acquire a more detailed view on CPU and memory utilization percentage. This type of report can be offered in three toggling charts, namely Pie, Bar and Column charts, with Pie chart been set as the default one. 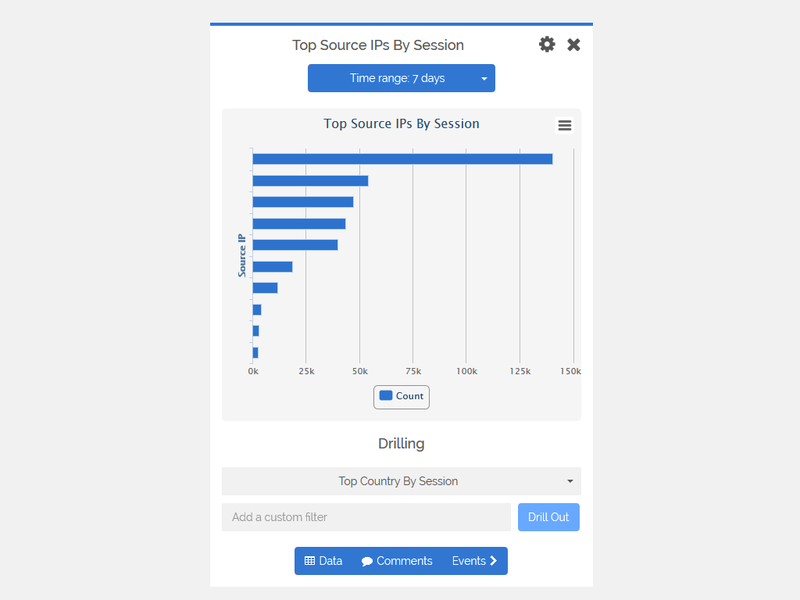 These charts indicate the traffic generated by all inspected IP addresses within the given time interval. The chart type selection can be done by using a drop down menu that is located on the top right of the actual chart area and is described in the Chart Overview section in detail. 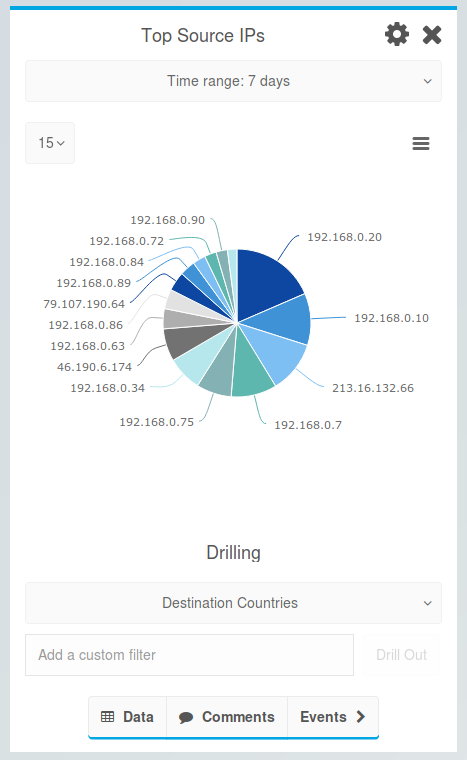 It can also be offered in three different toggling charts, namely Pie, Bar and Column charts, with Pie chart set as the default one. However, for sake of chart presentation completeness, we present the Column chart in the following screenshot. This chart indicates the traffic generated by any service within the given time interval. This type of report can again be offered in three different toggling charts, namely Pie, Bar and Column charts,. The chart indicates the internal IPs that have been involved in the most sessions, within the given time interval. In the following image, the chart is presented in the Bar form.